We had a perfect evening with excellent food! A wonderful day, fabulous food! All in all a lovely situation! Loved it. Very friendly and kind staff. Amazing pork belly and prawns. I sat under a still starlit evening to the chorus of waves crashing on the shore and enjoyed the most delicious meal here. Highly recommend. We had a lovely breakfast for 13 people on Christmas Day. Service and food was excellent! It’s not easy to get eggs right for such a crowd, but the food was perfectly executed. Thanks for allowing us to continue this family tradition! Delicious and creative Menu, beautiful position and ambient and the Service-Staff was outstanding good: always around but never intrusive. An extraordinary Restaurant. 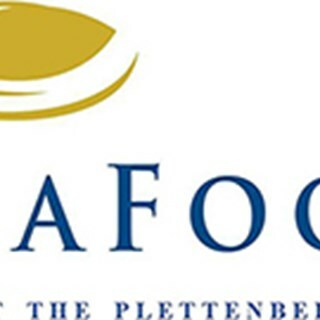 The Plettenberg is in such an amazing setting. We have an amazing view and even saw a school of dolphins. The food and service from Bulie was absolutely great. Will definately be back. Awesome food! Amazing pork belly starter and line fish main course! Absolutely stunning service right from the reservation! Lovely meal and fantastic setting. Stunning setting, delicious food, friendly efficient service. i could not fault the wine pairing menu.BUT your al a cart menu is too "hot". that is why you have very few locals in the restaurant. if your normal menu reflected last nights offering i would come every week. Chef Ritchie Rorich excelled himself with the meal we were served on Saturday. Every dish was faultless, but it was the starters in particular that truly impressed - unusual ingredient pairings were successfully pulled off and the dishes were fully in tune with the season. My only slight criticism is that the eatery is expensive for South African budgets, but, when the quality of the food is considered, this can be understood. Ritchie came to meet us personally and struck us a very intuitive and talented, though still humble, young chef with a great commitment to his team and trade. Always being ready and open to learn is a wonderful quality in a chef and Ritchie personifies that. The Plettenberg is indeed fortunate to have him!